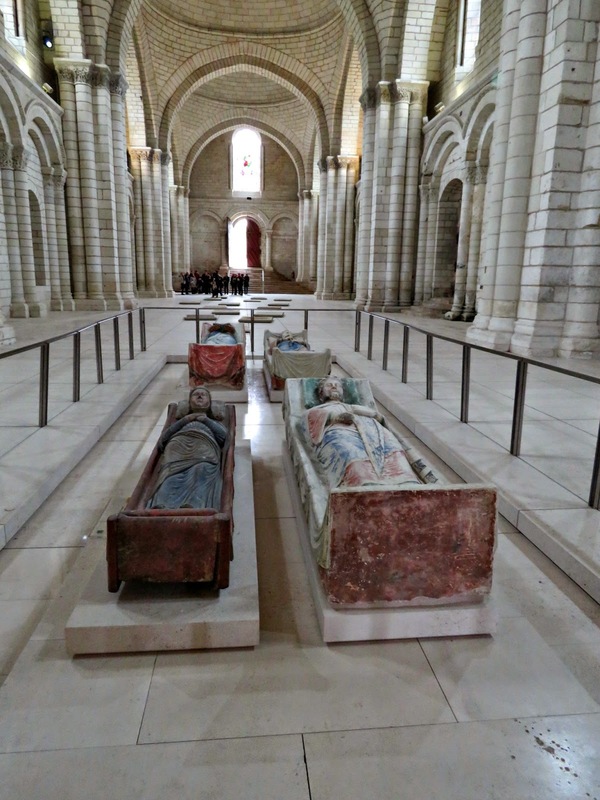 Now I have to confess to having been a fan of Eleanor of Aquitaine for a very long time, and it was this interest in Eleanor that drew me to the Royal Abbey of Fontevraud, where she lived out the final years of her long and eventful life, and where, after her death in 1204, she was buried. 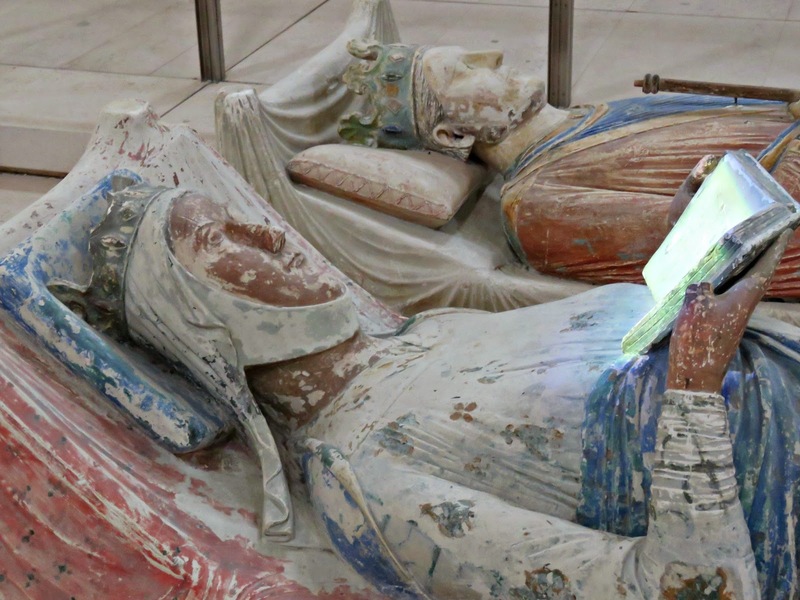 Eleanor of Aquitaine, reposing in death beside her husband King Henry II of England. Their mortal remains were lost during the chaos of the French Revolution. Back in the day Eleanor was quite a girl. Born sole heiress to the hugely wealthy and powerful Duchy of Aquitaine, she was regarded as the greatest catch of the age. 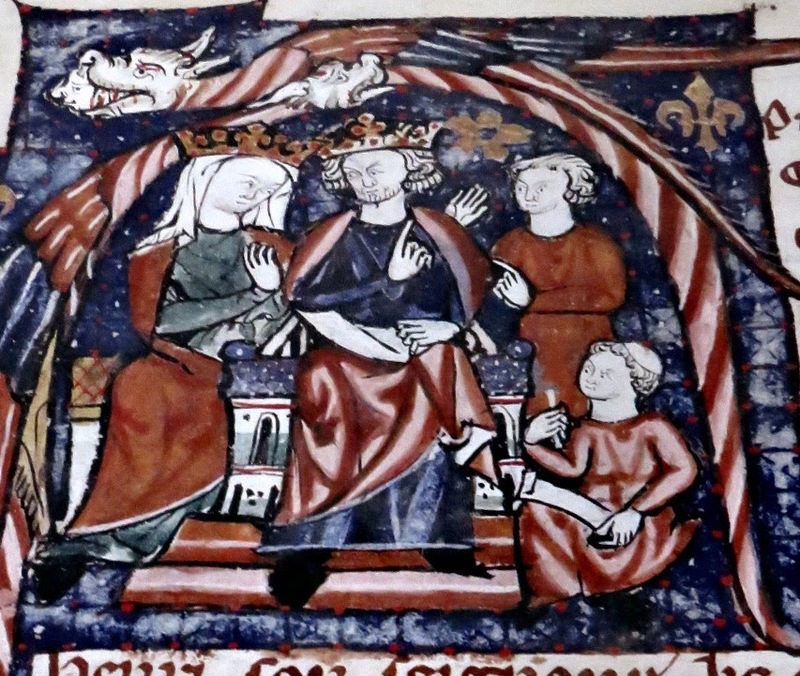 Wed first to King Louis VII of France, and later to King Henry II of England, she was a girl who was used to getting her own way, and doing pretty much as she liked in an age when that was all but unthinkable. Even in death Eleanor still set trends. Her recumbent tomb statue was commissioned by her shortly before her demise. 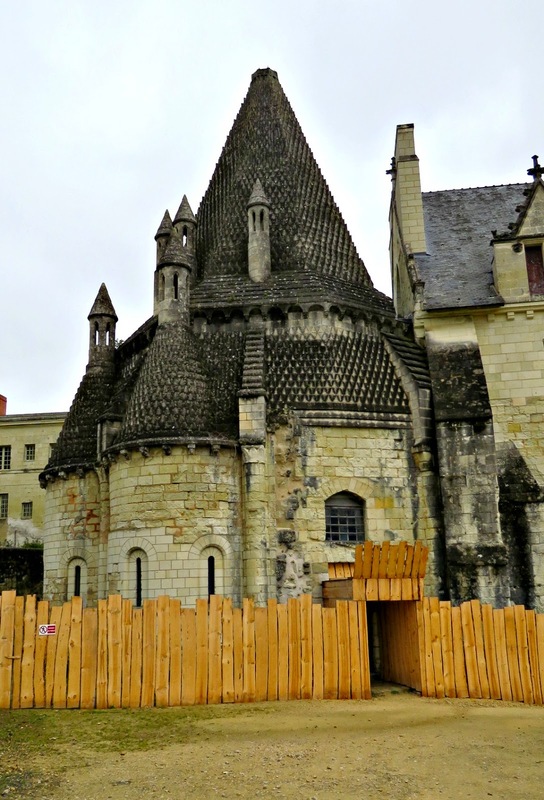 And it set a fashion in funeral architecture that was to be copied by women throughout the middle ages. She is depicted in death as a lady reader; pious and learned, she reclines with what is commonly believed to have been a psalter in her hands. The psalter was a book that most medieval aristocratic women would have owned. Written in Latin, with songs of praise taken from the Book of Psalms, it was usually the first text from which these women had learnt to read and had begun their study of Latin. 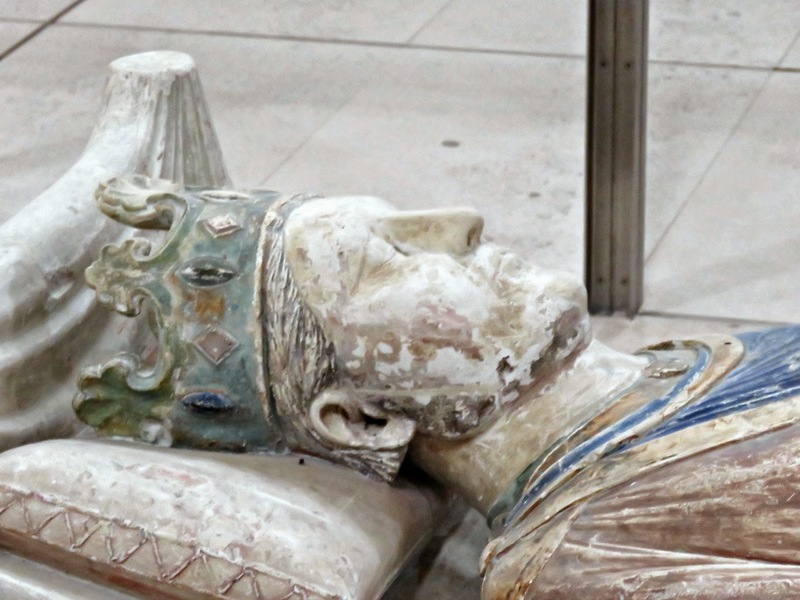 Eleanor is buried with her estranged husband, King Henry II, who had died in nearby Chinon in 1189, and her favourite son, Richard the Lion Heart, who had been killed 10 years later in Chalus (Limousin). 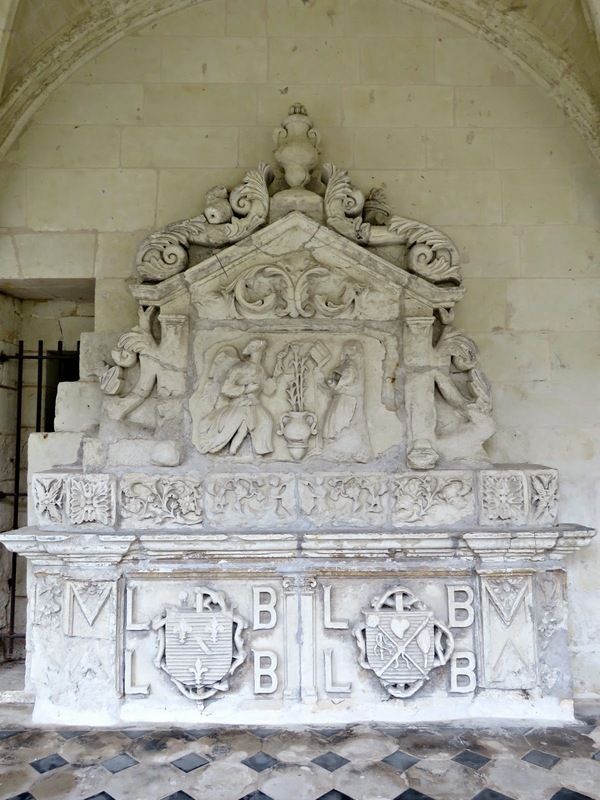 Also buried with this group was Isabella d'Angoulême, the second wife of Eleanor's younger son, King John. She was buried here much later by her son, King Henry III of England. 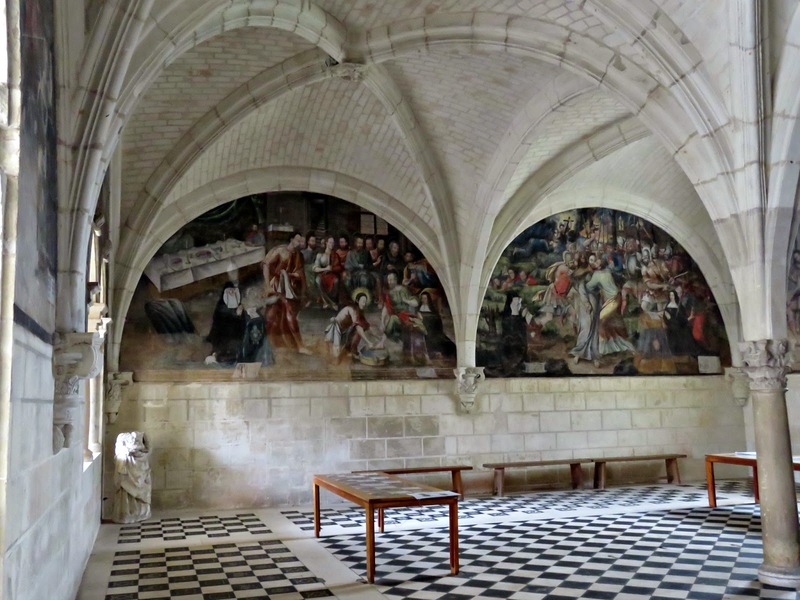 Eleanor had always taken an interest in Fontevraud, entrusting her younger children Joan (the future Queen of Sicily and Countess of Toulouse, and John (future King of England) to the nuns here for their education. Joan was also buried somewhere in the grounds of the Abbey, having died during a Caesarean section. As is her son, Raymond VII, Count of Toulouse. The exact whereabouts of their final resting places is not known. 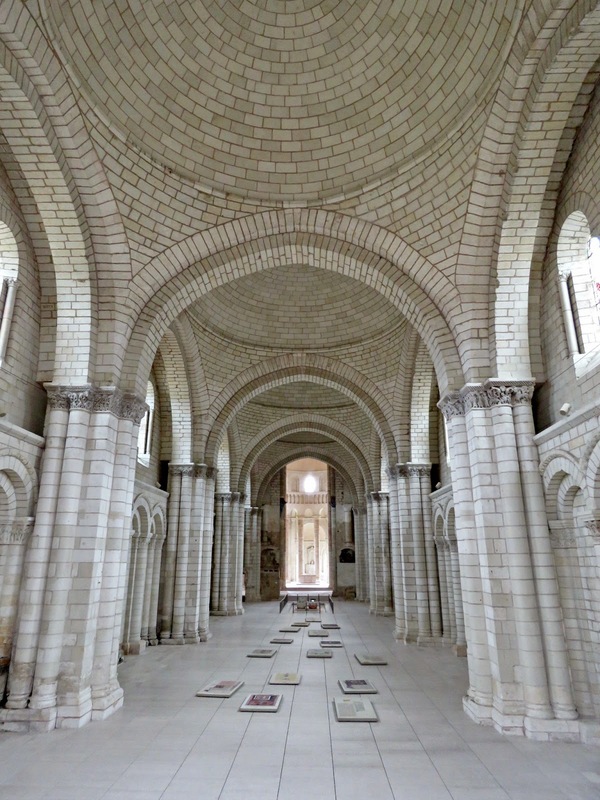 By the 1170's Eleanor was giving land and liturgical objects to the Abbey of Fontevraud, and taking an active interest in its affairs. In the 1190's she moved to a house in the village, where, surrounded by a small court of ladies in waiting and relatives, she lived an intensely religious life. 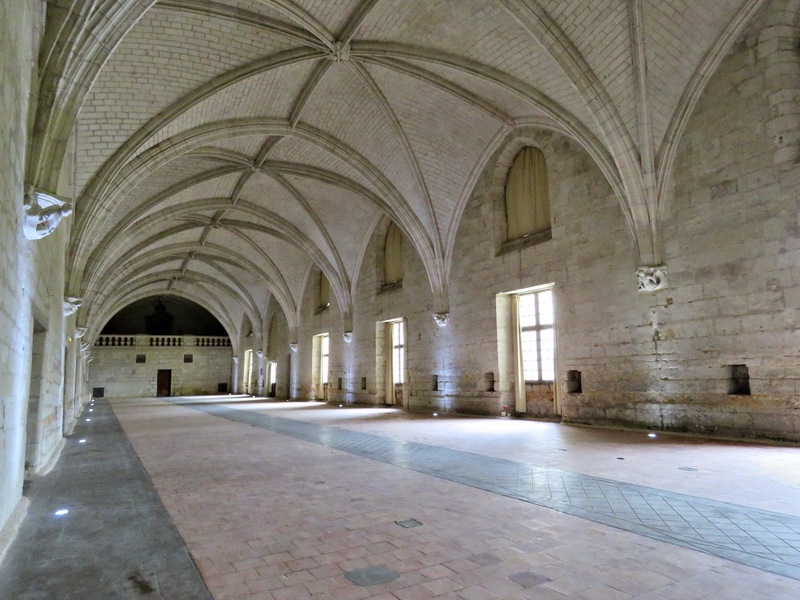 A dozen or so clerics would have attended to her spiritual needs, and the chapel of Saint Laurent was set aside for her exclusive use. During this time she prayed and did penance for the souls of her parents. She didn't take the veil, and formally enter the community, until just before her death. 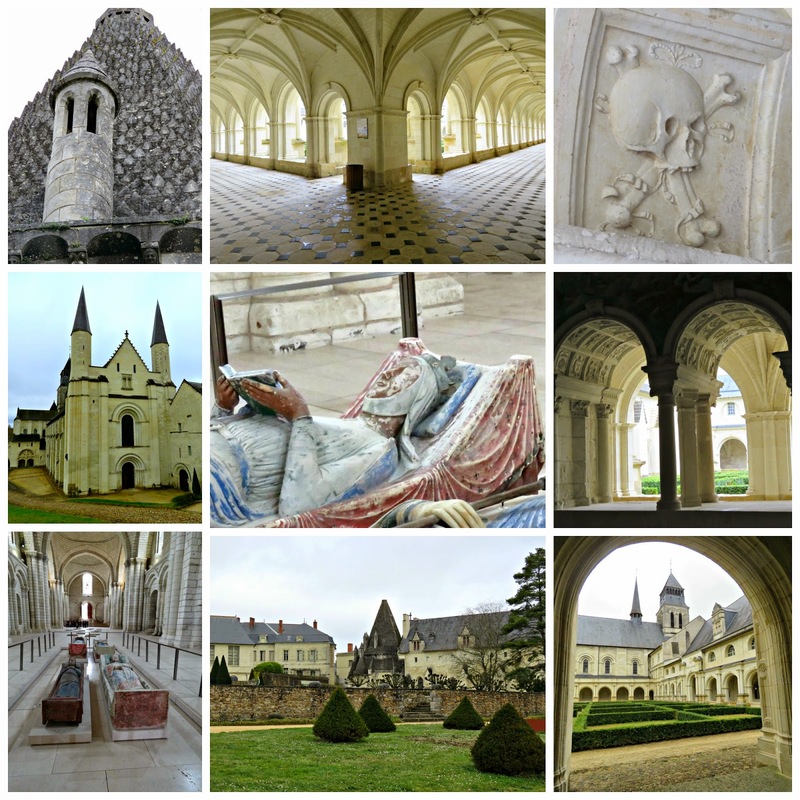 And it's little wonder that a character like Eleanor was drawn to a place like Fontevraud. It has always had about it an other-worldly quality. 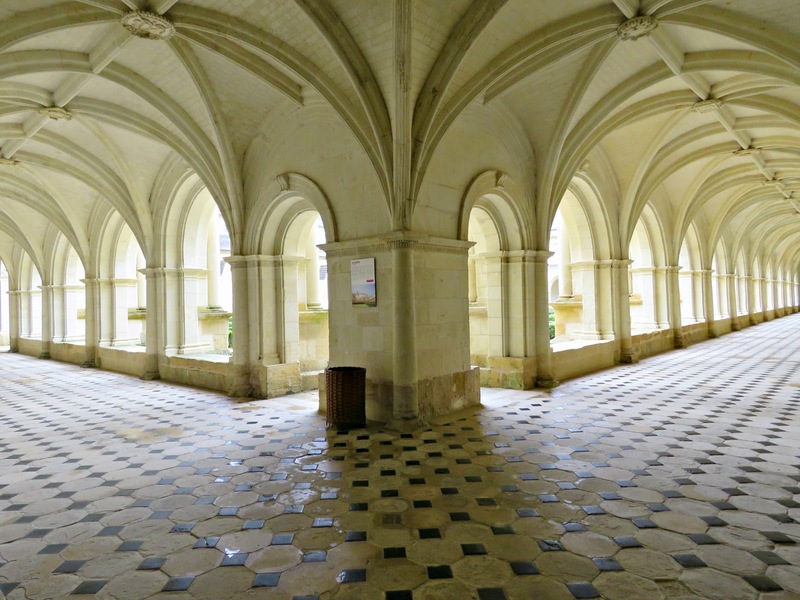 The Abbey was founded in 1103 by an itinerant preacher, Robert d'Arbrissel. 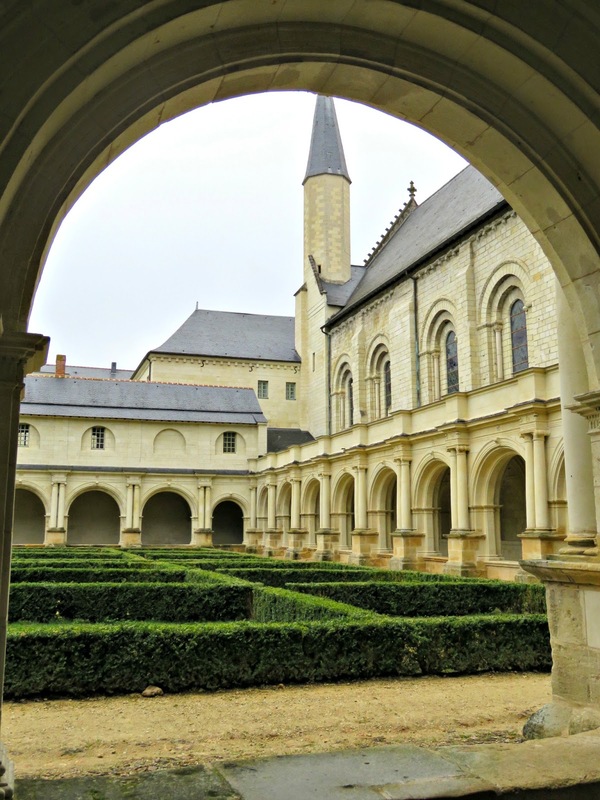 It comprised four communities: Le Grand Moȗtier for the nuns, Saint Madeleine for the penitent girls, Saint Lazare for the lepers and Saint Jean for the monks, chaplains and those in charge of secular matters. An Abbess, always chosen from a princely or noble family, governed the whole complex and all of the many possessions of the order, which at one stage stretched from Spain, through France all the way to the English Midlands. 19:25 Now there stood by the cross of Jesus his mother, and his mother's sister, Mary the wife of Cleophas, and Mary Magdalene. 19:26 When Jesus therefore saw his mother, and the disciple standing by, whom he loved, he saith unto his mother, Woman, behold thy son! 19:27 Then saith he to the disciple, Behold thy mother! And from that hour that disciple took her unto his own home. These words, spoken directly to John, effectively telling him to take Mary as his spiritual mother, have been taken by many adherents of the Marian Cult as an injunction to respect and honour the Virgin. 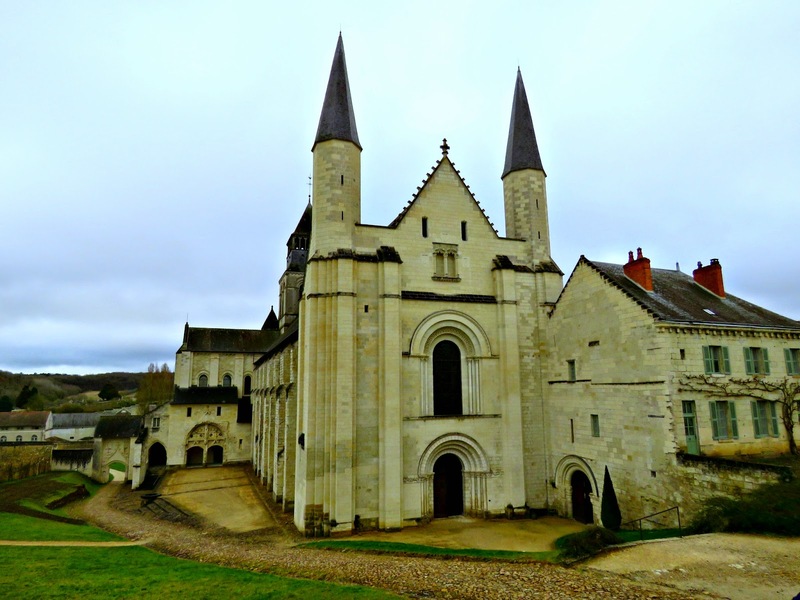 At Fontevraud they were followed and applied through the grant of a mother to the Abbey, in the form of the Abbess, and in the pre-eminence afforded to the women of the Order, especially the Abbess. And over the years there have been many impressive women who have held the position of Abbess or have been associated with the Order. 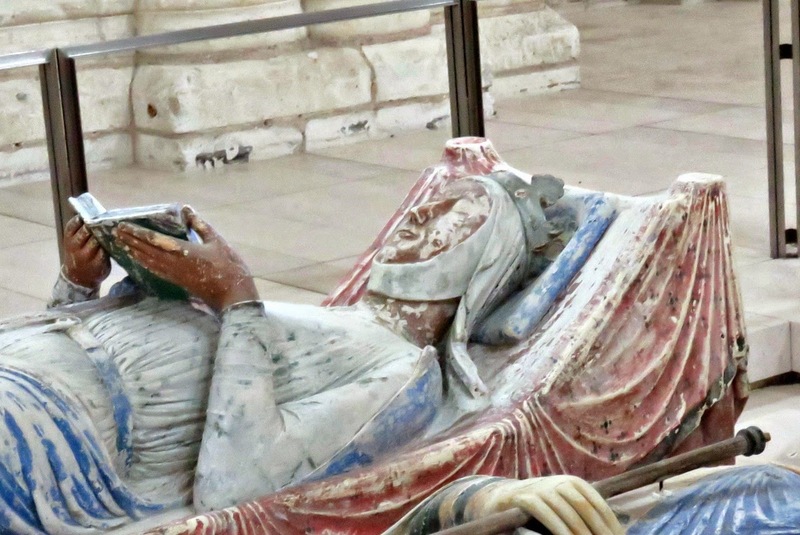 In the 11th and 12th centuries the Abbess was invariably a member of the Angevin aristocracy. 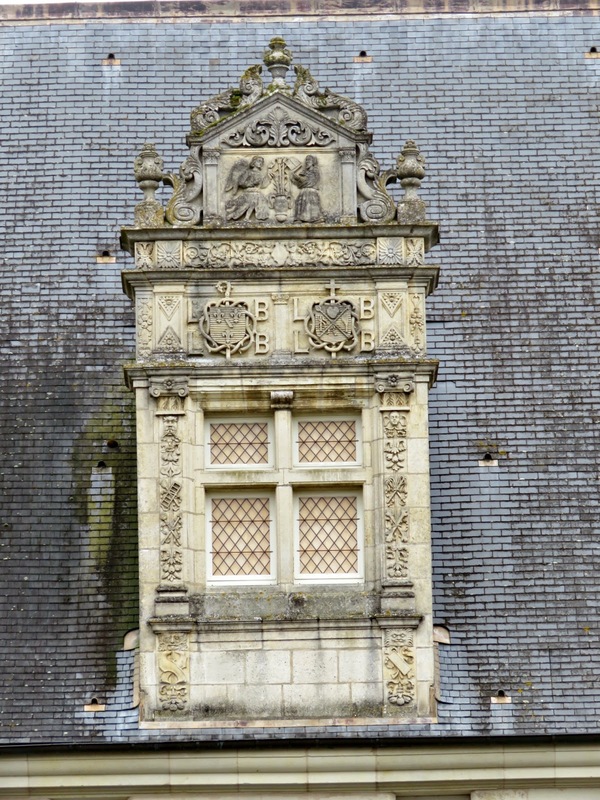 Throughout the 15th and 16th centuries the Abbesses were drawn from the royal house of Bourbon, with the position often passing from aunt to niece: Renée, Louise, Eléonore, Louise II, and Jeanne-Baptist. It was nepotism, but it was beneficial nepotism. It helped to have powerful allies in those days, and they didn't come much wealthier or more powerful than the Bourbons. 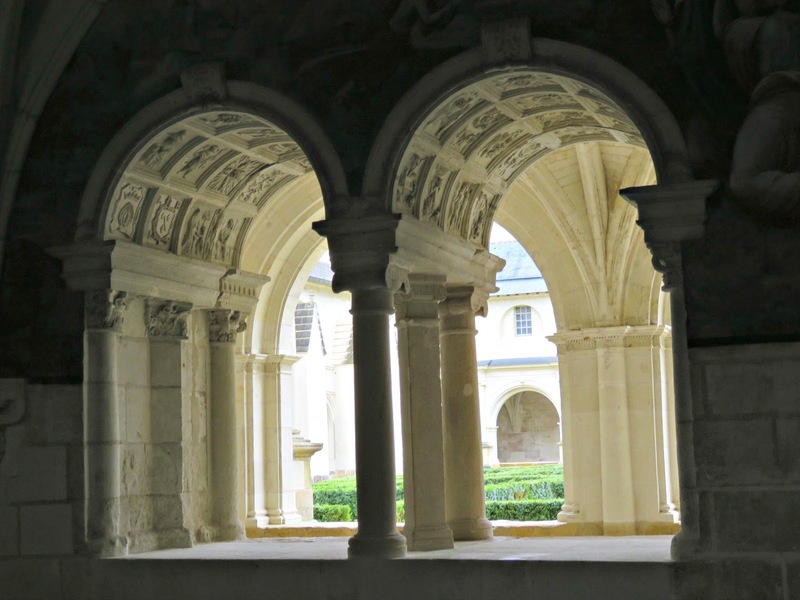 Fontevraud became an intellectual powerhouse, where new ideas were welcomed and discussed openly, as evidenced by its rich and eclectic libraries. 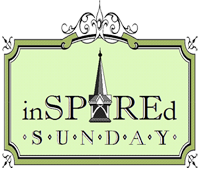 This spiritual and intellectual revival was also accompanied by the restoration of the Abbey buildings, all of which was made possible by the generous endowments, liberties and legacies granted by its various royal benefactors. Louise de Bourbon continued the reforming work of her aunt Renée, taking particular care of the education of the novices and dealing with the peculiar challenges thrown up for a Catholic community by the Protestant Reformation. 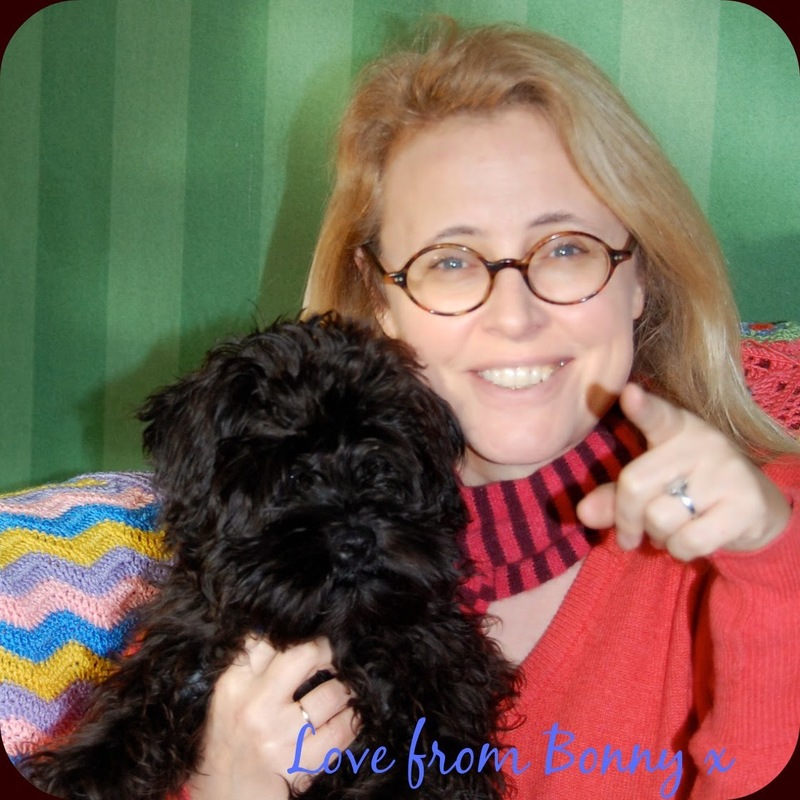 In many instances she sprinkled her initials, LB, liberally over the building works carried out on her watch. We played a little game as we wandered round trying to spot her initials, and they were everywhere. It seems like a runaway case of megalomania, especially given how large her initials figure when juxtaposed with the only slightly larger M's for Mary, but I guess they saw things differently in those days. Now I have a question for you: what do you think this building was used for? It's one of the oldest parts of the whole abbey complex. 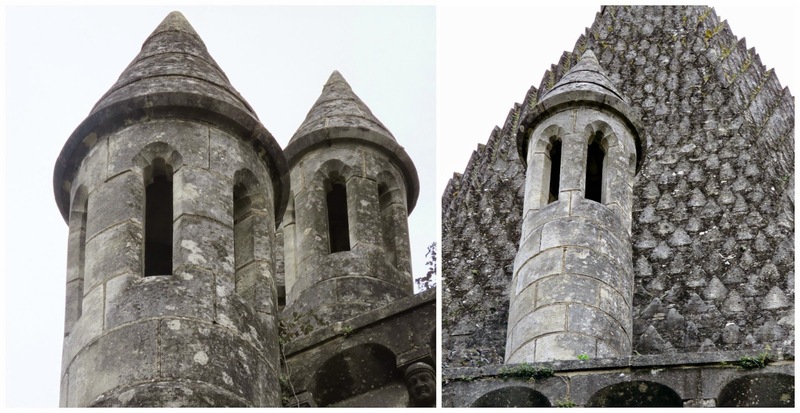 It's built in the shape of an octagon, has a roof that looks like it was made of fish scales and it has some of the best grotesques I've ever seen. For a very long time no one knew what the building had originally been used for. It's function and purpose were lost in the mists of time. 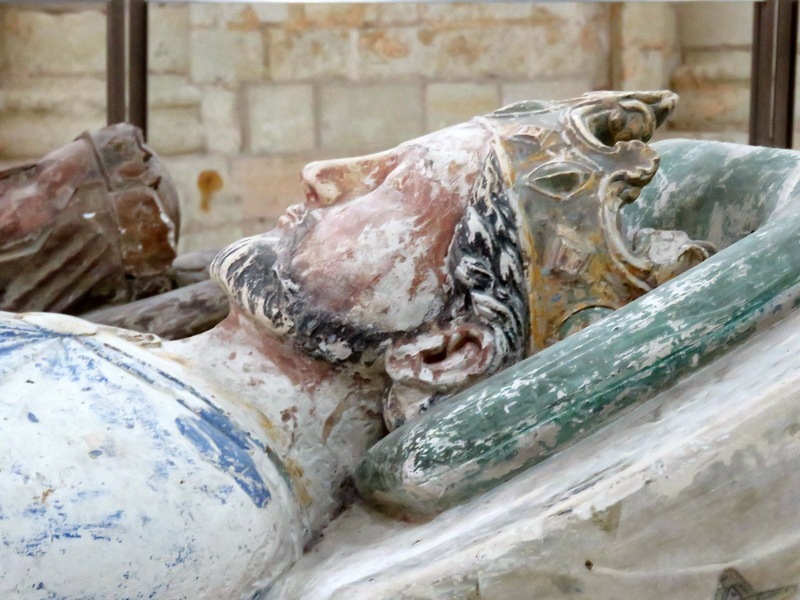 Someone suggested that it had been built as a funeral vault, and at one time there were plans to move the recumbent Plantagenets to rest within its shade. An English historian, John Henry Parker, however, compared it to similar monumental kitchens in England and posited the idea that it was the original kitchen, built back in the 12th Century, to feed the rank and file of the growing order. 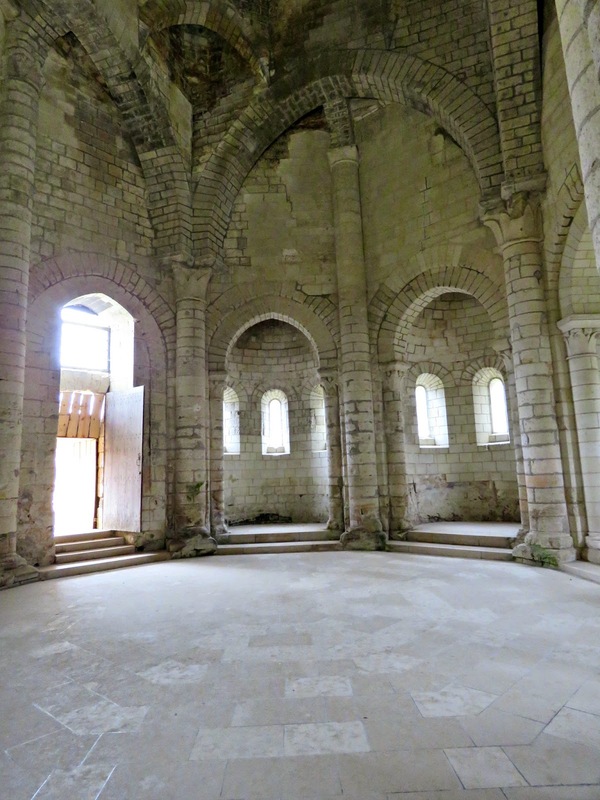 His views on the matter are now universally accepted and the building is known as the Romanesque Kitchen. And now, looking back at the debate, it seems like a no-brainer. 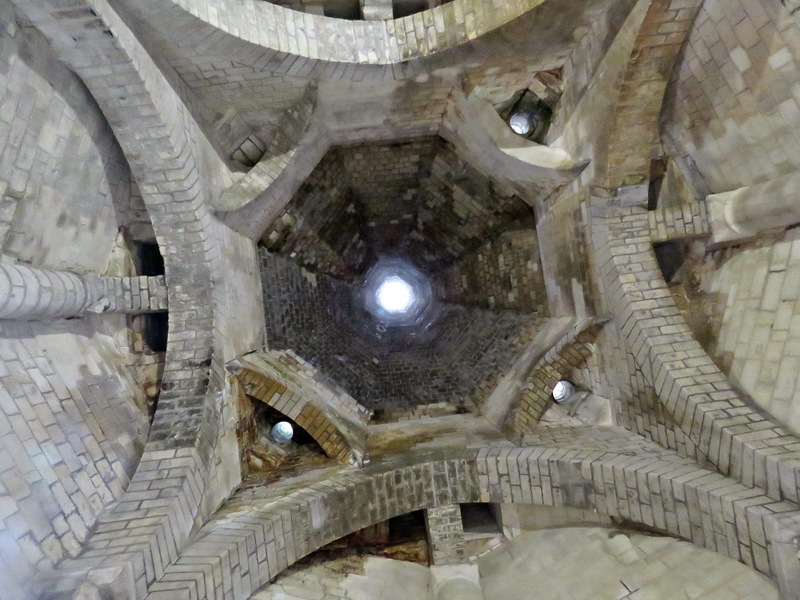 The octagonal floor plan radiated out from a central chimney with 8 separate fire chambers. The whole structure, built entirely of stone, is largely fire-proof. Depending on the wind direction, they'd have decided which fire to light, and they'd have made great use of the high vaulted ceiling for smoking fish. The design makes it possible to distribute smoke throughout the entire roof area. A vast amount of fish would have been smoked for storage before being consumed in abundance by the good folk in the abbey. 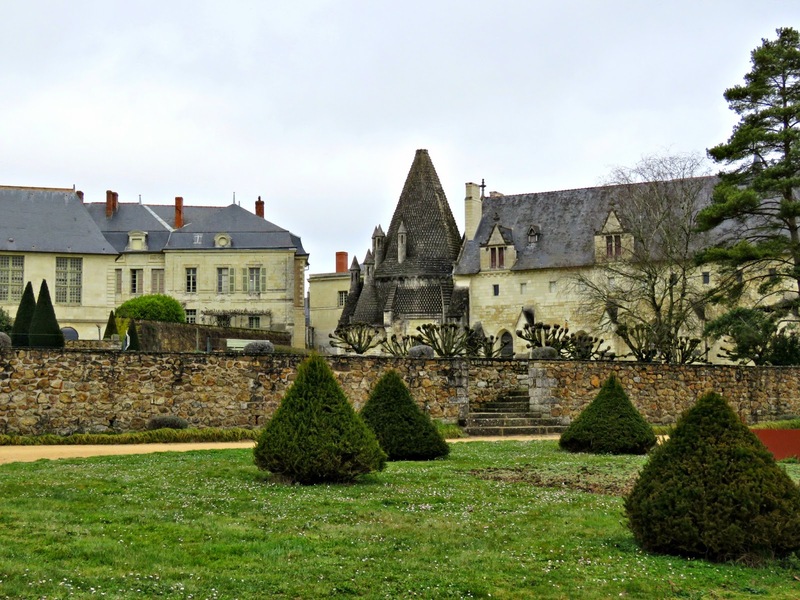 Back in the days of Eleanor the Loire was full of salmon, so it's likely that she would have enjoyed a diet of smoked salmon and vegetables grown in the abbey gardens. I can just imagine the hive of activity as teams of cooks slaved over hot fires to prepare food for the members of the order and their guests. Sides of salmon, turning black with the smoke of the fire, would have hung high overhead. Gardeners, dressed in aprons of rough sacking, would have delivered whatever was in season from the gardens around about and the servants of rich benefactors would have pulled up with cart-loads of produce. And all around the interior pungent black smoke would have swirled, making people's eyes water and leaving everyone smelling of woodsmoke when they came out. 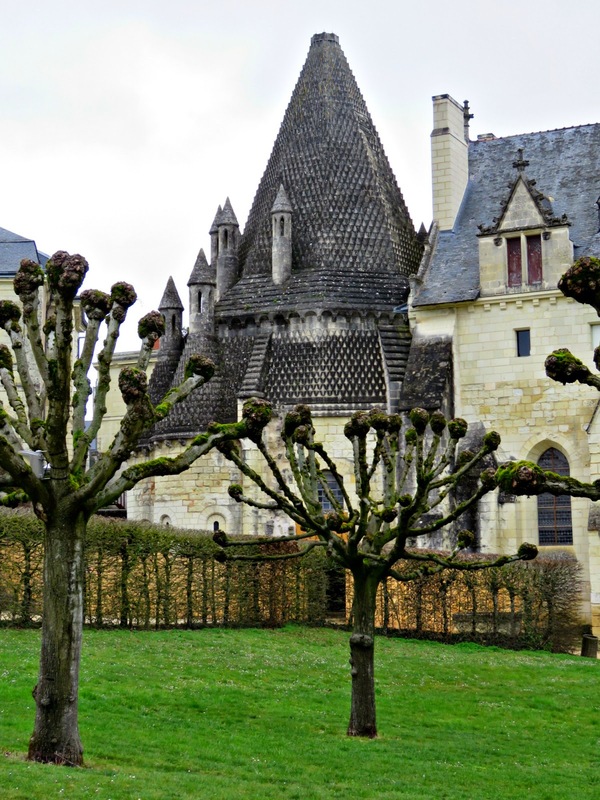 And you see that's the charm of Fontevraud: it's a place where you feel as though you can reach out and touch history. 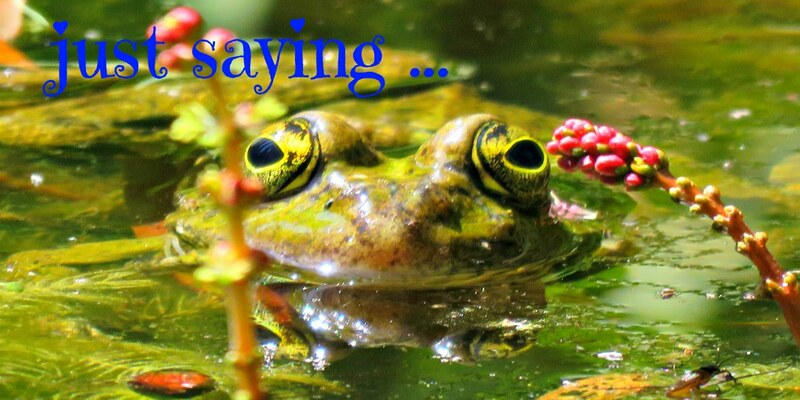 It weaves its magic, and, for the duration of your visit, the distant past doesn't seem so very far away at all. Another interesting post. So much to learn. Great post. Those tombs must have looked amazing in full colour. I just added this to my bucket list!!! Happy Birthday ... to me ! 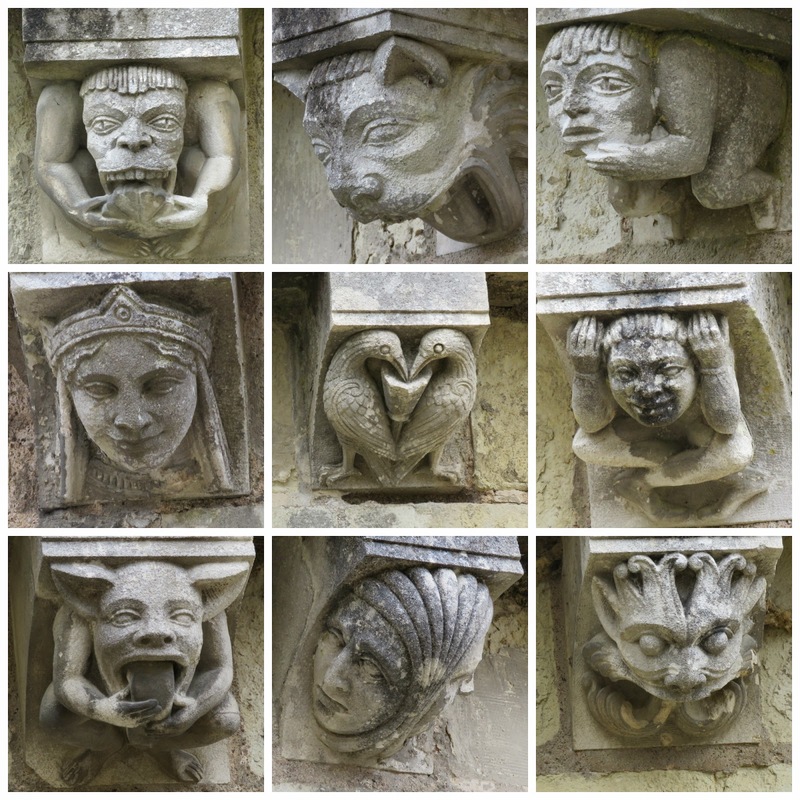 Do you know your gargoyles from your grotesques?